Custom sizes also available! But Each is one of a kind. 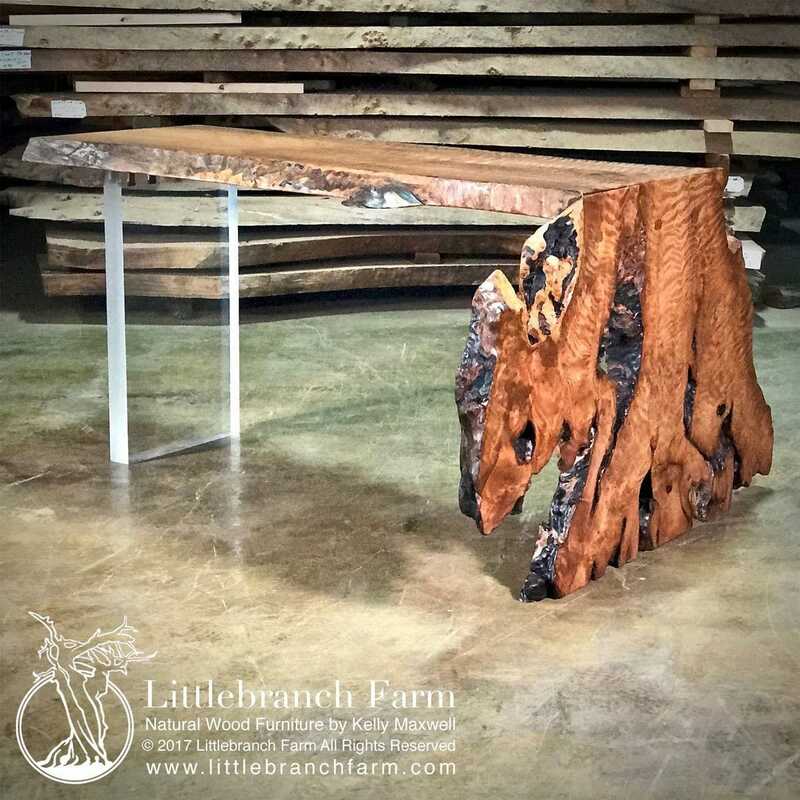 Our custom waterfall wood slab office desk has a live edge wood with a fold. The fold of the wood slab create a waterfall effect and also acts as a leg. We also added a modern acrylic leg opposite the waterfall leg. Although it may look like two wood slabs it is only one. This live edge office desk features a curly redwood slab milled from a root system. 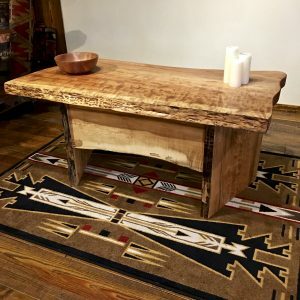 You may also see a Bison or other images in the wood in this desk. 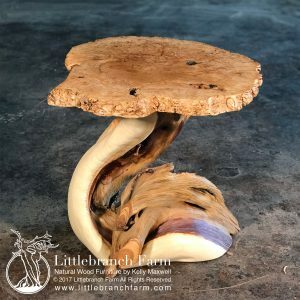 It is 60″ long 24″ top but the wooden leg is 48″ wide and 30″ tall. 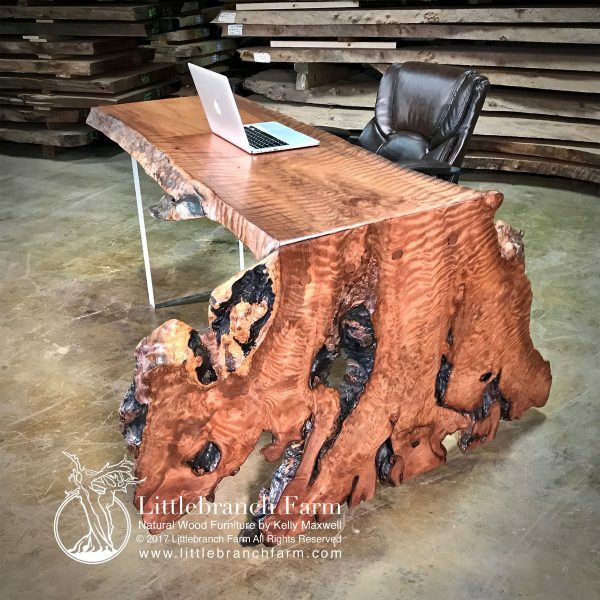 This style home desk is available in custom sizes but each is one of a kind. 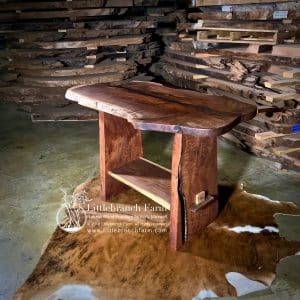 It is a great writing desk, accent table, entrance table or numerous other option in your rustic home decor. 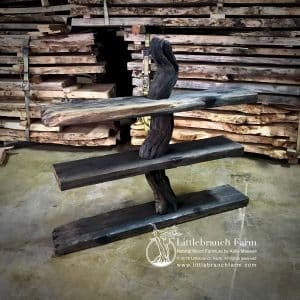 Yes, we design and build custom wood furniture, please contact us to discuss your project. 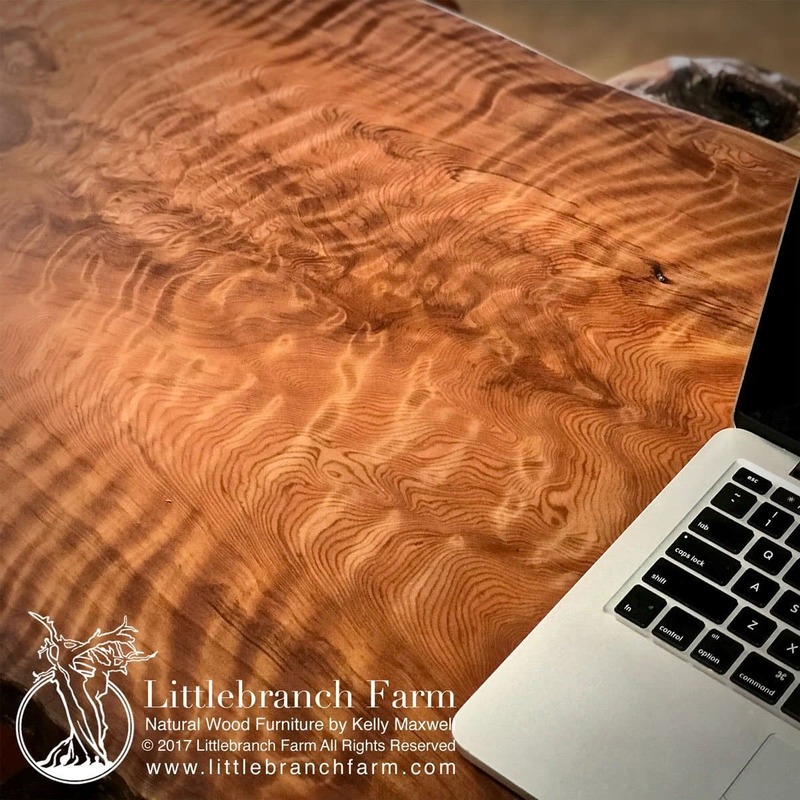 Besides our custom rustic office desk, we also design and craft custom furniture using wood slabs, juniper logs, and reclaimed wood. 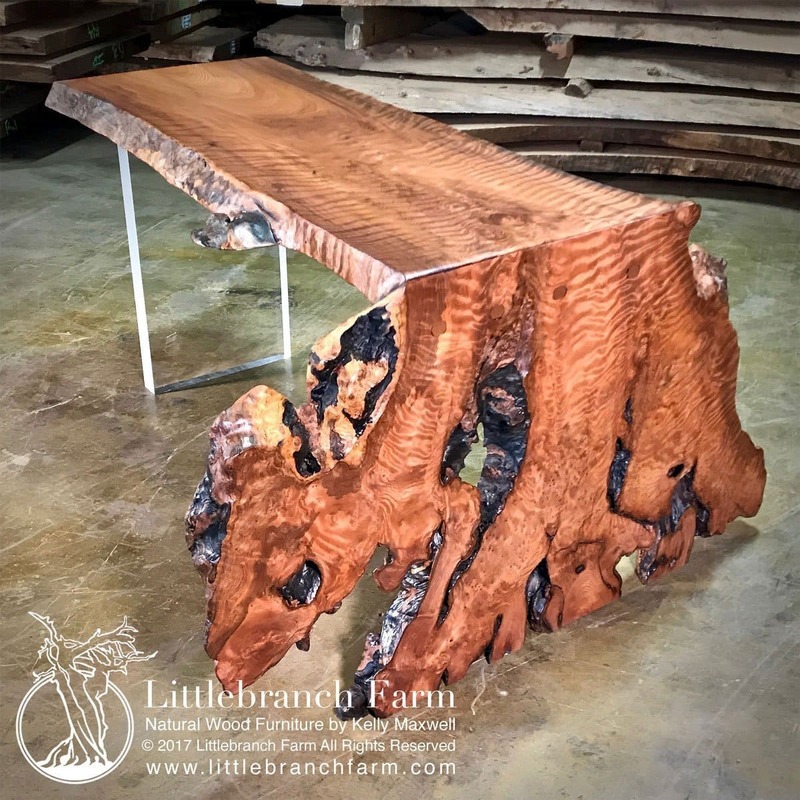 Whether it is a log vanity or a rustic table our custom rustic furniture maker can handle your natural wood furniture needs.